What is the Pickleball Mile Club? Most people on the planet know that exercise is a critical part of living a long healthy life, but so few people find or make the time each day to do it. 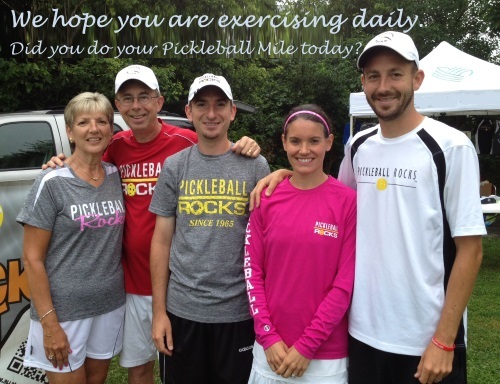 The Pickleball Mile Club was created to help overcome that exercise challenge. When you join the Pickleball Mile Club, you will be joining with thousands of like-minded people who have committed to using pickleball as a key piece of their daily, weekly, and monthly exercise routine. 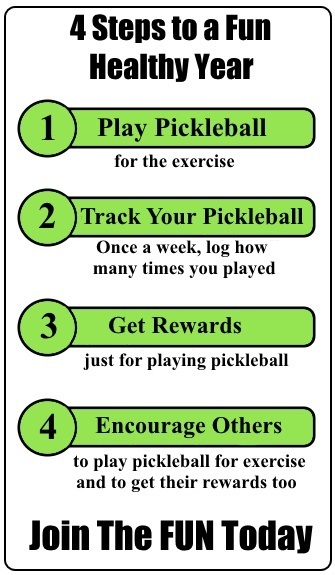 The Pickleball Mile Club will be your daily reminder and motivator to get your exercise, but even more importantly, to do those little things that will help you live a healthy lifestyle and have a longer, healthier life. And yes, it's FREE to join! So what is your responsibility as a club member? LOST 50 Pounds: Pickleball was a big part of me getting my 10,000 steps in every day. It is so much fun, that you hardly realize you are exercising. - Karen G.